The game of Lacrosse has come a long way since the Native Americans in Canada decorated their bodies in tribal wear to play the game as early as the 17th century! It is thought that several tribal games have contributed to the development of today’s sport of Lacrosse. 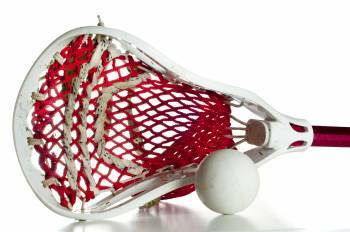 The European settlers of North America made most of the changes to the game, which has turned it into the modern day Lacrosse or Lax, for short, that we know today. In a game where slang terms for some shots and turns are called ankle-breakers, backbreakers, and murder passes, it might seem to someone who doesn’t know the game that the chances of injuring yourself would be higher than in other sports. Fortunately lacrosse injuries are no more prevalent than most other similar sports. Men’s lacrosse is a contact game though so acute injuries from body, stick or ball contact do outweigh the prevalence of common overuse injuries. Women’s lacrosse is non-contact, but the unforgiving lacrosse stick and ball still result in a good number of bumps, bruises and more serious acute injuries such as fractures. This area of our website is designed to help you stay fit and avoid injury while on the lacrosse field by encouraging proper equipment selection, knowing which injuries to watch out for, and preparing your body with the appropriate stretches to be done both pre and post game.